You want to feel safe and secure in your home. In fact, it is one of the leading concerns for homeowners everywhere. When it comes to the security of your home, you want to have a professional locksmith company that you can trust like Ninja Locksmiths. We have the training and experience to ensure your home is a place you can feel comfortable. We offer a large variety of residential locksmith services that will guarantee complete customer satisfaction. Everyone has experienced it, that feeling when you realize you are locked out of your house. 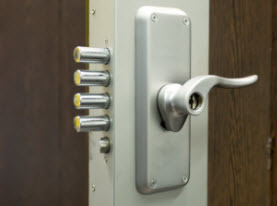 At Ninja Locksmiths, we provide emergency home lockout services so that you can gain access into your house again. We offer fast response times and know your time is valuable. It doesn’t matter what time, day or night, you find yourself in this predicament, we will be there to help you get back into your home. Over the course of time, your locks start to wear and are in need of repair. 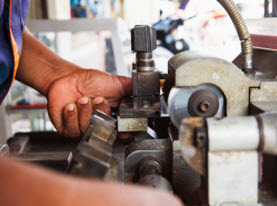 At Ninja Locksmiths, we provide lock installation and replacement as well as repair services. It is important that all your home locks are working properly to give you the safety and security you are looking for. Sometimes all your locks need is a little repair to keep them in good working order, but if your locks are old you likely need to have them replaced all together. Many homes in our area have patio doors. To achieve the same security you would with your other entries, you need to have the appropriate locks installed on them. If your patio door locks aren’t up to par, it makes for an easy access point for burglars. For those of your that have patio door locks that are loose and not working the way they should, you can count on Ninja Locksmiths to fix it for you. If you found yourself in a rush and your key has broken off inside your lock, the lock experts at Ninja Locksmiths can help you get it out. 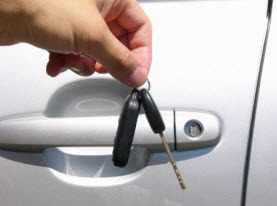 Our technicians will be there in minutes to help you get back inside and get that broken key removed from your lock. If you have had roommates move out or are moving into a new home and want to know that you are the only one with a key to the house, you can count on us to help you rekey your home. You don’t want to think that there are people that don’t live with you that have access into your home. Let us help you make your new home a safe place for you and your loved ones. 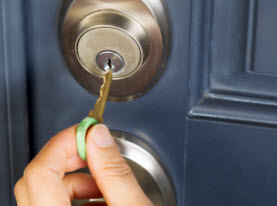 At Ninja Locksmiths, we can help you with any residential locksmith needs you may have. Don’t think twice before you call on us to help boost the security of your home. Call us today!